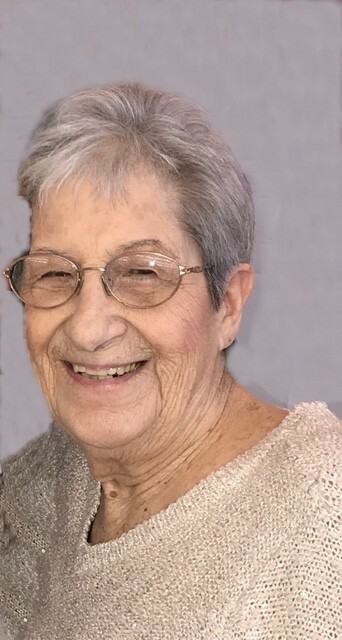 Edith F. “Edie” Bartone, 84, of Downingtown, passed away on Friday, October 26, 2018 at Brandywine Hospital, with her loving family by her side. Born on Jackson Avenue in Downingtown where she resided most of her life, Edie was the daughter of the late Bennedetto and Loretta (nee Volpe) Forte. She was a 1952 graduate of Downingtown High School where she cheered and played basketball and field hockey. A devoted mom, Edie worked selflessly to provide for her children and instill important life values. She was loved by three generations of family and friends. She was an endearing aunt to her nieces and nephews and friend to her sister-in-law, Rose Forte. Edie’s Christmas Eve bashes were famous in Downingtown. Her food, jokes and cussing were a staple in her kitchen, where many enjoyed her delicious Italian cooking. She is survived by her children, Dominick A. Bartone, Carmela “Cammie” Lockwood and her husband Jamie. She was a loving Noni to Dominick A. Bartone, Jr., Ashley E. and James M. Lockwood. In addition to her parents, she was pre-deceased by her son, Michael Bartone; sister, Angeline Mariano; brother, Cosmo D. “Charlie” Forte and Guiseppe “Joe” Forte. An evening visitation for Edie will be held on Thursday, November 1st from 5 to 8 pm and a morning visitation on Friday, November 2nd from 9 to 10:30 am at the James J. Terry Funeral Home, 736 E. Lancaster Ave., Downingtown. Her Mass of Christian Burial will take place on Friday, November 2nd at 11:30 am at St. Joseph Church, 338 Manor Ave., Downingtown. Interment will be in St. Joseph Cemetery, Downingtown.